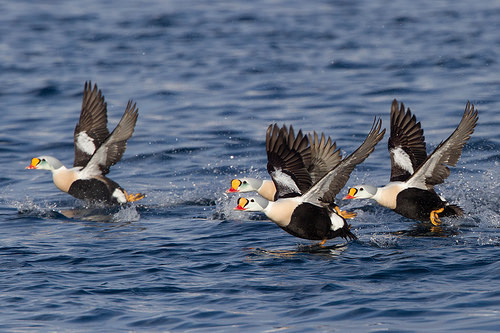 The King Eider breeds in the far north, from Canada to Siberia. 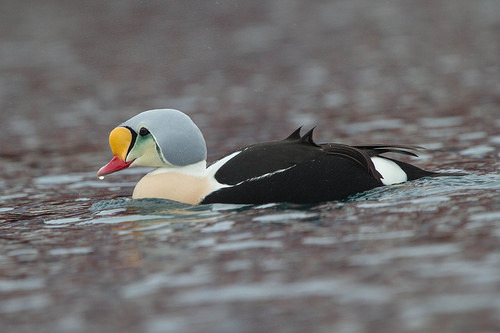 In winter, it migrates south and is sometimes seen among common Eiders. The male has a beautiful orange beak-basis.